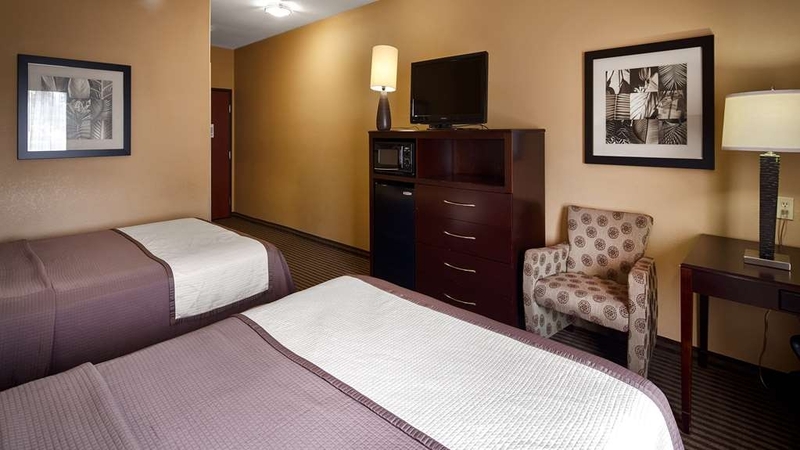 The Best Western Oakdale Inn is ideally located in the center of Oakdale. Come and experience our hotel near the major tourist attractions. Best price guaranteed and exclusive deals. "If not staying here for a couple of days great choice otherwise look elsewhere." Good: Nice comfortable Bed and fridge in rooms when connected, nice AC and breakfast is nice. Mostly attentive friendly staff, WiFi is so so, goes out but I feel like all hotels do that. 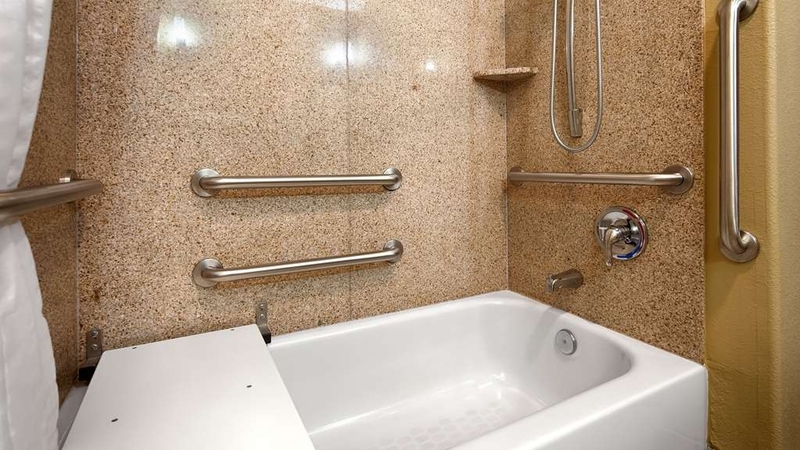 The BAD: Molding in the bathroom...then a bleachy smell when they cleaned it instead of just switching us to a room. The fridge wasn't connected so our food went bad...they could have at least told us to plug the fridge...and hard to reach outlet for the fridge.Fitness room was Hot, no water fountains or water there.barely working machines. Unattentive rude elderly white hair front desk woman. Green pool that I wouldn't recommend. Only one ice machine that they put a limit on how much ice you can get! This Best Western was a Nice clean hotel. It had good breakfast options. I did not observe any issues in the hotel. It looked to be the nicest hotel in the town. I am planning on staying at this location the next time I am in town. 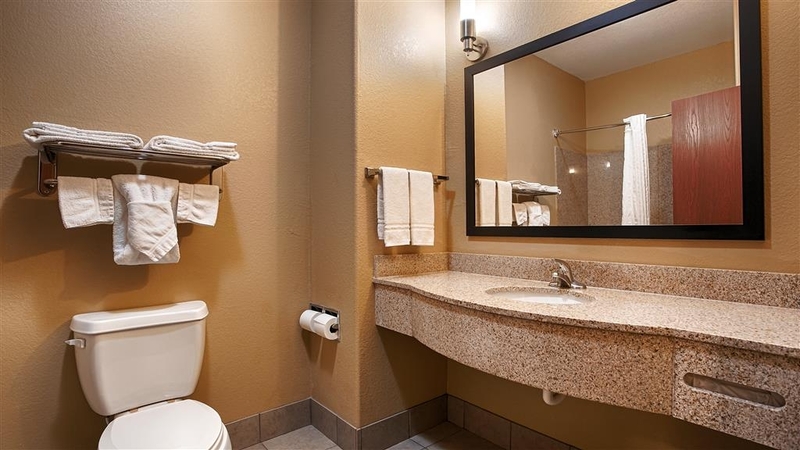 "great hotel for the value"
This Best Western is a nice hotel in Oakdale. The staff is very friendly and accommodating. The Rooms are very clean and comfortable and the free breakfast buffet makes travel with children convenient and affordable. 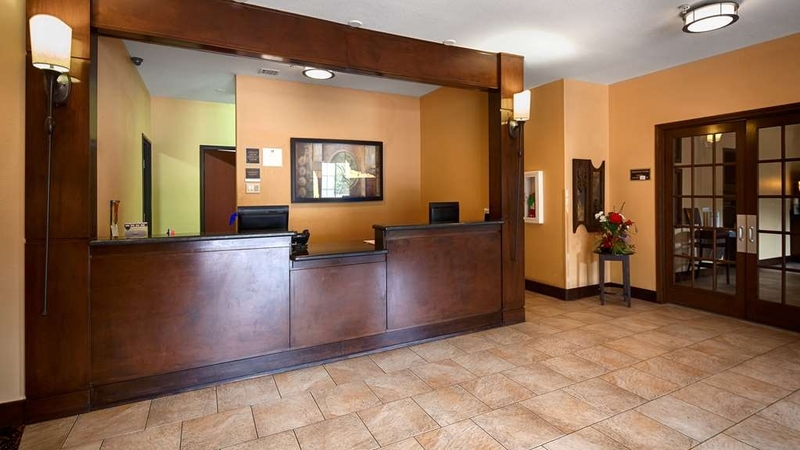 "Outstanding hotel in a small town"
This hotel is super nice, the staff is super friendly and helpful. I can't say enough nice things about it. For a hotel in such a small town, you'd expect the quality to be "less than." But it exceeds our expectations every time we stay here. Which is at least twice a year, and I'll be honest, it only gets better every time we come. Thanks for giving us such an outstanding option in hotel stays in Oakdale. I stay here for all of my family functions. 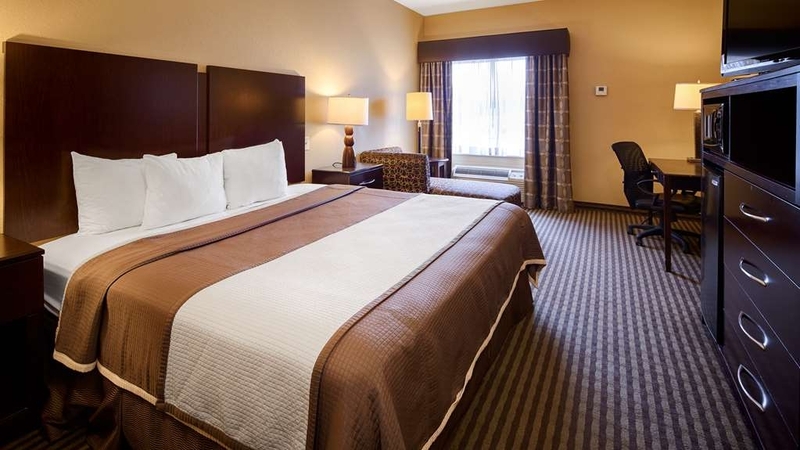 From the cheerful and accommodating staff to CLEAN rooms .. for the money .. it can't be beat. The breakfast is plentiful and has ALOT of choices..very good hotel. "night person on friday and saturday is worthless"
We stay here to visit family. Staff is usually nice and friendly. Room was clean. The breakfast was nothing to write home about. Usually it is pretty good, but the two mornings we ate there, the eggs and sausage was cold. The young girl heated the eggs and sausage up in the microwave in the dining room, so you could not use it to reheat anything. It took a long time for here to heat the eggs and then the large bowl of sausage. I also saw her reach in with her bare hand and feel of the sausage to see if it was warm. Not very sanitary, she should have been wearing gloves working with the food. She never acknowledged us or ever said a word to anyone in the dining room, so she was not the friendly type. There is a lady by the name of Christina that has excellent customer service skills and is great at what she does. "Nice and easy to get to"
We enjoyed staying at this hotel. Easy to locate and get to. For us it is centrally located to where we have family when we visit. 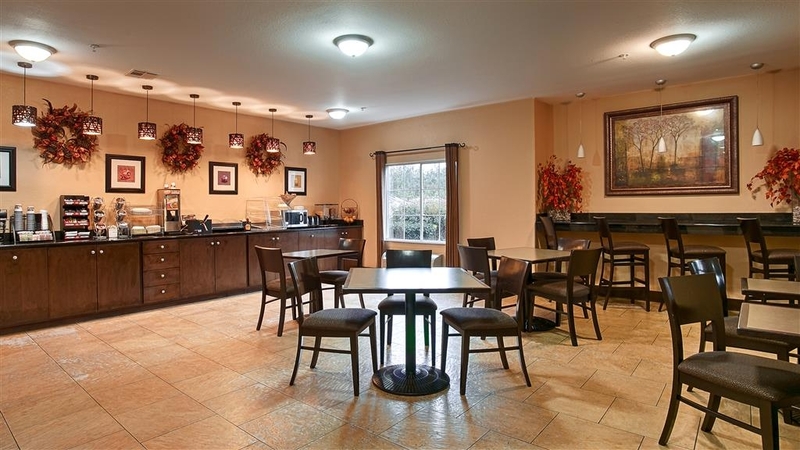 Hotel is clean, warm breakfast, and well maintained. Enjoyed the outside pool. This is a beautiful hotel with such welcoming hospitality from the staff. I used to live at this hotel for business and the staff made me feel like they really cared. I stayed in the business suite close to the lobby because they wanted to keep an eye on me and make sure I was safe at all times. On my last day I locked my keys inside my car and the person behind the desk at the time helped me out a significant bit by calling the police who he knew could come pry my car door open. And again, everyone was so nice and my room was very nice too. We stay at this hotel everyother year for our family reunion. This saff is very helpful and professional . 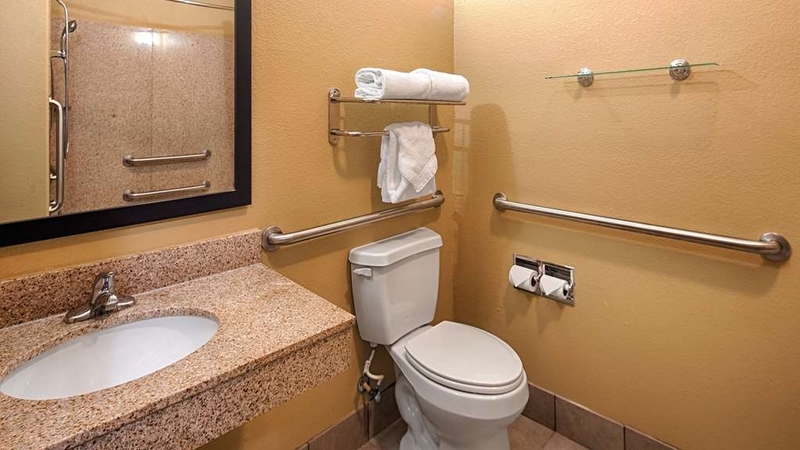 The hotel is very clean and convenient to our location. The breakfast has a very nice variety of choices. 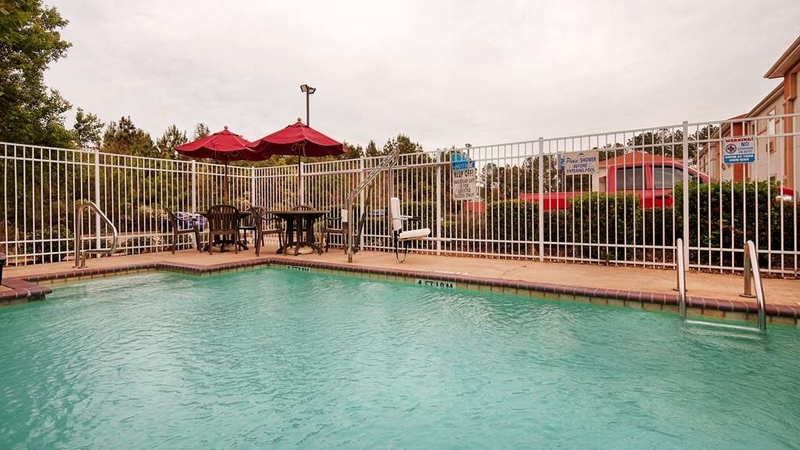 "Very good stay.. we managed to go to the SPA too "
"Great stay in Oakdale La Best Western"
We visited Oakdale La. May 2017 to spend the week with our four grandchildren.we stayed at the Oakdale Bestwestern.our stay at the hotel was made such a pleasure by the kindness of two of the front desk attendants.both went out of there way to make our stay great. We were very pleased with our accommodations and thought the room appeared clean until we opened the drawer on the bedside table on our 2nd night there and found a wad of used tissues!! YUK! And, smelling cleaning fluid looking at an industrial sink during breakfast didn't help. Otherwise, seemed ok.
"Never Booking Here Again! Didnt Even COMPLETE Check In"
I prefer this hotel to the Hampton Inn in Alexandria, where I had been staying previously when in this area. Though not inexpensive, it is a better value all around. I do think breakfast could be improved by allowing for some variation and more hot choices. "Great place for the location." 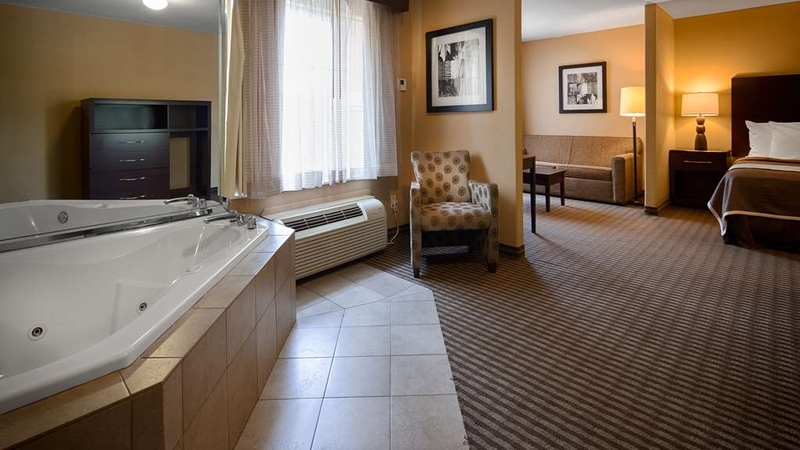 It's the best option being there's only 2 other hotels/motels to stay in at Oakdale. The staff & facilities are great! Clean, well kept, comfortable, friendly staff. We've stayed here twice and would definitely return. The hotel is clean, the staff is pleasant, but it was the worst stay ever. There must have been a large group of people that were together staying there when we were. In the day time, there was a room that had a large barking dog close to us. I thought the property had a no pets allowed policy. At night, there were people and children running up and down the halls being very loud. At one time we had a group sitting in front of our room in the floor hallway with kids screaming and carrying on. It was very annoying. The doors slamming till all hours was terrible. The noise above us was not any better. Our room was not cleaned while we were out during the day, so had to go to desk to get clean towels. I hope I never have to come back, but if I do, I will try to stay somewhere else, even if I have to drive further. I really could have used a good night sleep after driving for 10 hours and having to repeat the following day. "great with excellent customer service!! They manger were a great help"
I am well plased with thise hotel. 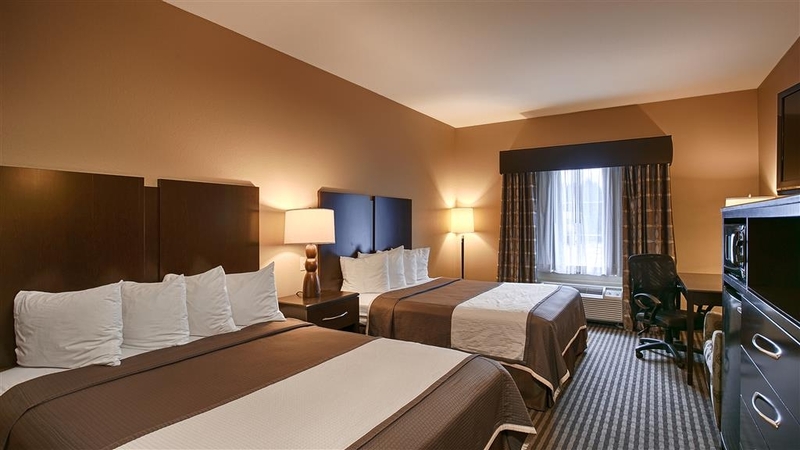 The hotel has good customer service and the rooms are nice and clean. The staff is always willing to help and very courteous. The breakfast is continental but is ok . I stayed here for a business trip. 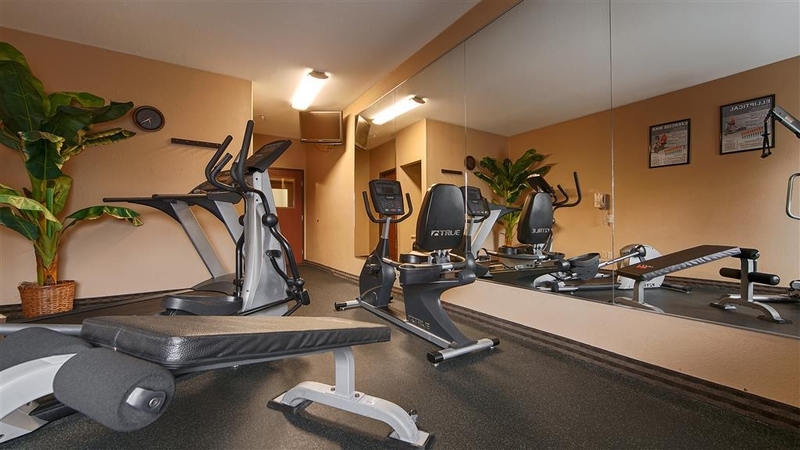 There is only two choices for hotels in town, this one by far is the better choice! Everything was very clean and comfortable! Any time that I am in the Oakdale area I will be staying here! Very nice rooms and hotel. 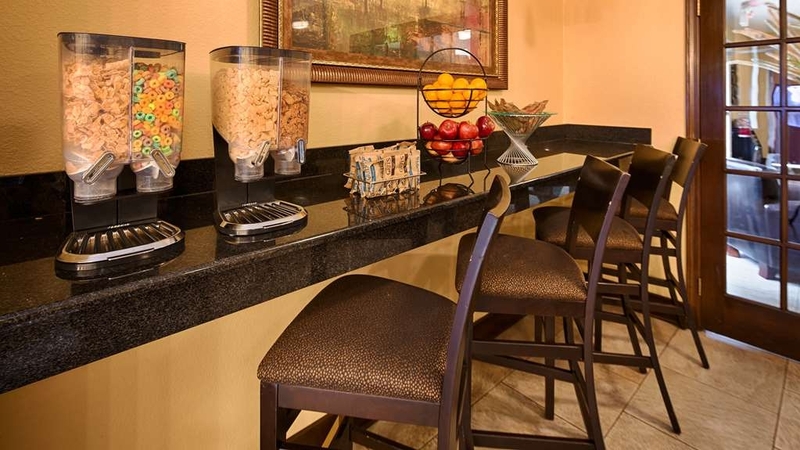 Fully furnished with everything you'll need. Clean inside and outside. Pool was extremely clean and even had a chair lift for handicapped people. Great breakfast included. Staff was professional in appearance and behavior. I have family in Oakdale so I have stayed at this hotel on several occasions. 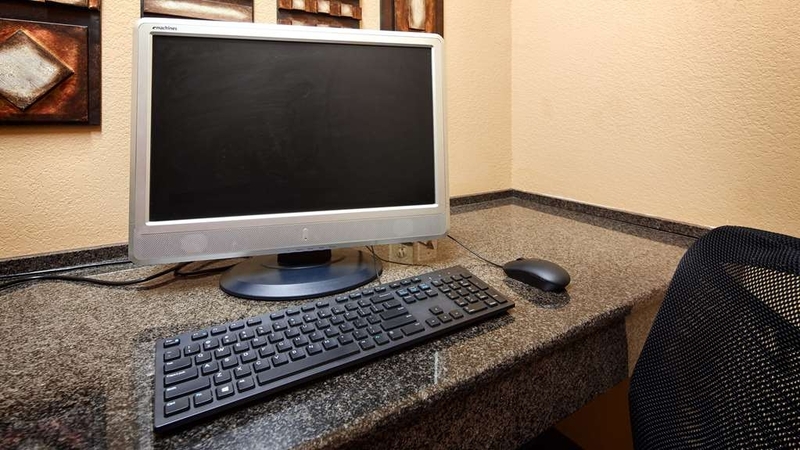 The hotel is always clean and the staff is extremely warm and friendly. The rooms with king size beds also come with a settee and I love to sit on the settee and read. Very friendly staff and super clean modern rooms. I've stayed at another option in Oakdale and it wasn't good at all. 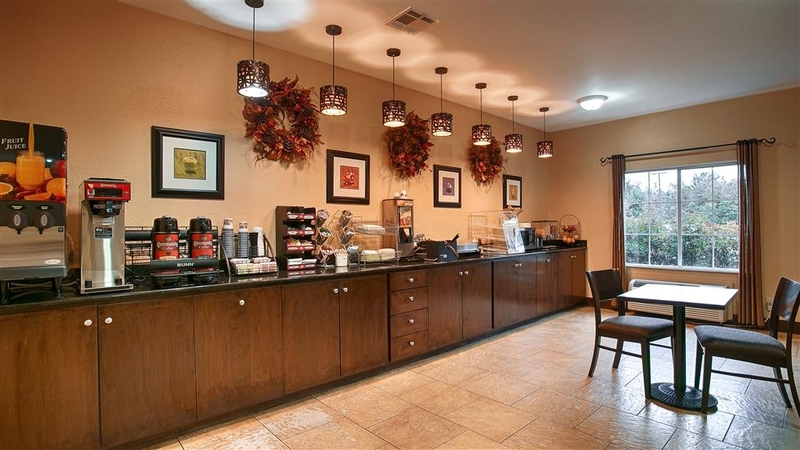 This visit we stayed at Best Western and the property was on par with larger newer chains that you would expect in more metropolitan areas. The breakfast was acceptable to average. Slightly stale and even checking out at 4am, we were told that breakfast was 'ready'. Maybe that's why it didn't seem so fresh at 730a the day before. That aside, we'll definitely stay again on our next visit! If you need a place to stay in the middle of Louisiana, don't miss out on a great nights sleep. Going to Kinder to gamble? 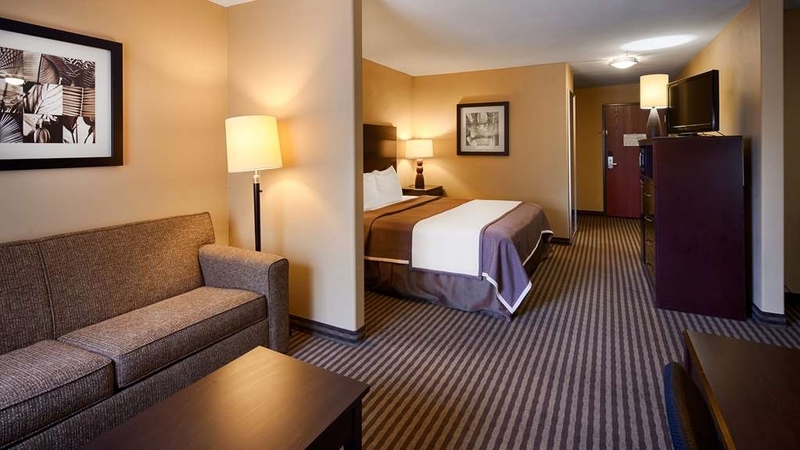 This Best Western in only 20 miles north of the casino and believe me, it's worth the short drive! 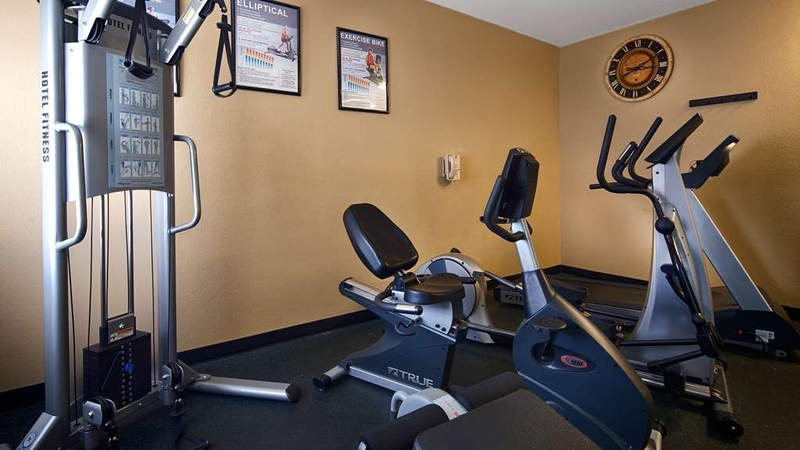 Quiet, clean with a very nice staff who will help you at every turn! We had a great stay. No complaints at all. Check in was wonderful and the lady checking us in was nice, friendly and extremely helpful. We would recommend this hotel to anyone. Safe, clean & friendly environment, what more could you ask for?!?!? 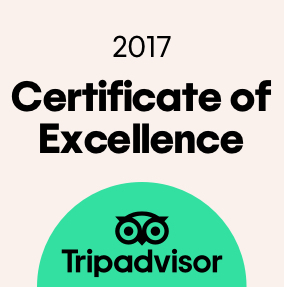 Very pleased, staff was friendly. The pillows were soft and there were plenty of them. I didn't eve get the pillow I brought out of my car. Small fridge and microwave were in our room which was very helpful. This hotel was out of the way but was worth the drive. The check in lady at the hotel and the lady that helped with breakfast was very nice and friendly. The room was clean and the tv had many different stations. My check in took over 20 minutes and I was the only one there. Maid service was knocking on my door at 7:00 a.m. the next morning,the lighting was so dim you could hardly see in the bathroom,my key card had to be changed everytime I left the room and that always was a 10-15 minute wait and on my last morning maid service was vacuuming at 7:00 a.m.outside my door and talking loud so I was up and ready to leave after that. Worst hotel stay ever and I stay at hotels 10-12 times a year if not more. It was a bad experience since check in time. Concierge stated it was too much work for her to handle. She was rude with me and another guest and also with someone on the phone that was trying to get help booking a room. Fortunately I did not get to see her again during my stay. Christina the other concierge that assisted me the following morning and rest of the time, went above and beyond to provide excellent service. Also the bathroom looked it had just been repaired and was not cleaned on that section. 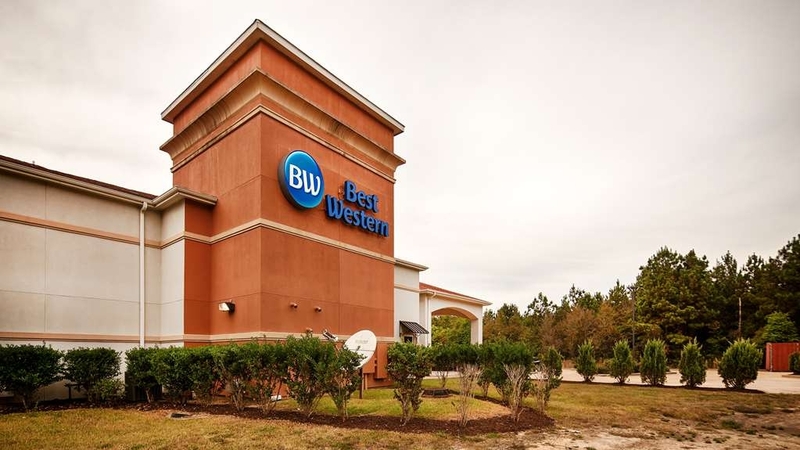 We were visiting the community of Glenmora, where there is no hotel, so we were thankful that just down the road in Oakdale was this nice Best Western hotel. The people who work there were very friendly. The room was very nice and the bed was comfortable. WiFi worked great. There are not many choices in Oakdale and none of the others looked nearly as nice as this hotel. We enjoyed staying there. Christine was wonderful, thoughtful and anxious to meet any needs. Especially sensitive of the loss of my mom. Kept coffee hot and fresh all the time, so helpful. The bathroom glass shelf had not been touched in weeks, maybe months. It was dusty and sticky. We had my husbands service dog and the cleaning staff shot us dirty looks every time we saw them. I understand they were not used to seeing a dog, but there was no call for all the frowns. The lady at checkout never once spoke or said thank you, even though I spent over $1000. in rooms. I thought there would be at least a thank you courtesy. The young man was polite but one night while I was in the lobby a gentleman tried to get a room but the clerk was asleep, (the guest could hear him snoring) and after ringing the bell and doing everything he could think of, the guest left to find a hotel elsewhere. And it wasn't that late, maybe 10:00 p.m. Just thought you should know. Otherwise, everything was fine. The fruit was never replaced at breakfast but the coffee was always fresh and hot. Thanks. very clean, great employees, good breakfast. slightly noisy early when others are checking out. slamming doors and all, but nothing can be done about this. otherwise, extremely nice hotel. I would be stay in this hotel each time in Oakdale. It feels safe and is close to Walmart for snacks and such. Not far from places to eat. They would do good to open restaurant for the hotel. There's not too much in the town. 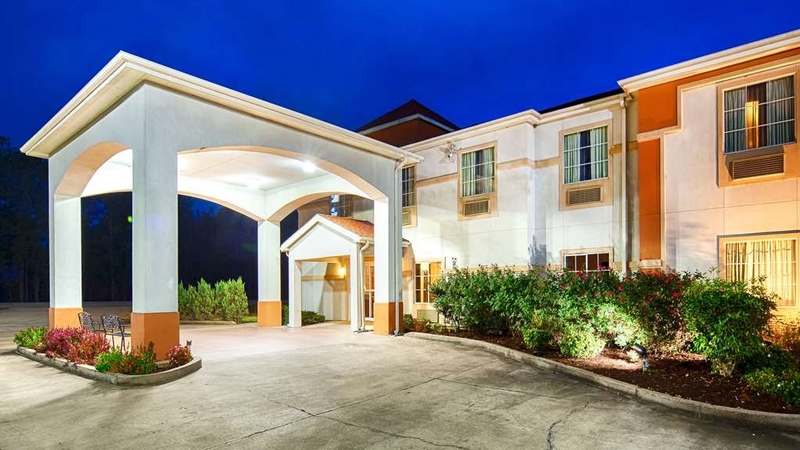 If you find yourself in the situation that you need a hotel in Oakdale, LA., then I assume your options are limited. That said, this is the nicest one in the area. Unfortunately, they know they have the nicest one in the area and charge accordingly. I felt it was a bit overpriced though. Had is been under $90, I would have given it another star. The stay was excellent with the exception of extremely poor lighting in the bathroom! Staff room and service was outstanding. Friendliness and professional people in all areas. Would certainly return and recommend with correction of poor lighting. 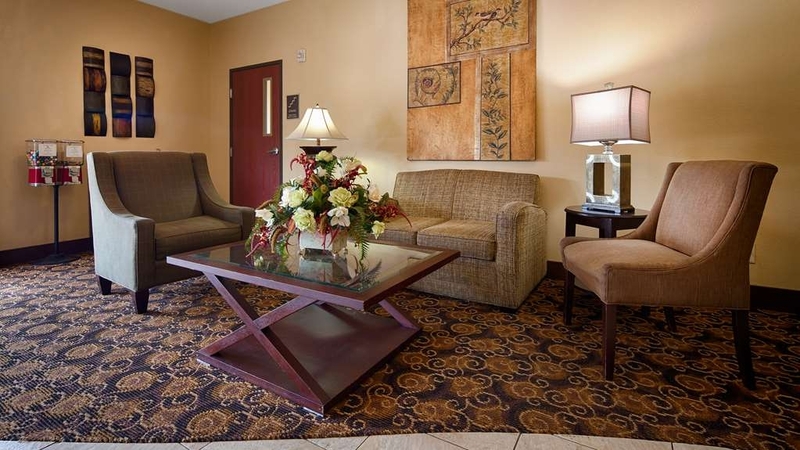 I stay at Best Western Oakdale Inn every time I go home to visit, usually at Christmas. Wouldn't stay anywhere else! The people are wonderful and very helpful and most know me by name. I visit during Christmas and the hotel lobby is beautifully appointed and decorated. I sometimes have the continental breakfast. It's always good. Will make this Best Western a regular when we travel to visit family. The room was clean and comfortable. Staff was friendly. Price was not to expensive. Parking was well lit and hotel was near Wal-Mart. We stay here every time we come to Oakdale and with family in the area, we come here a lot. 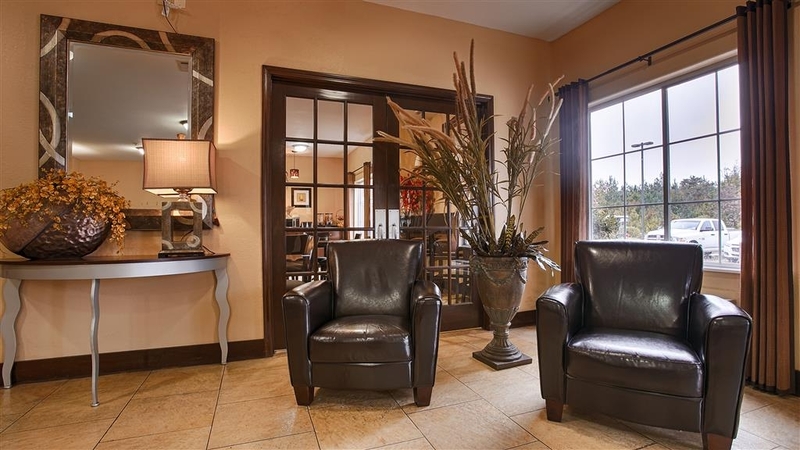 For a small town hotel, it's really nice. 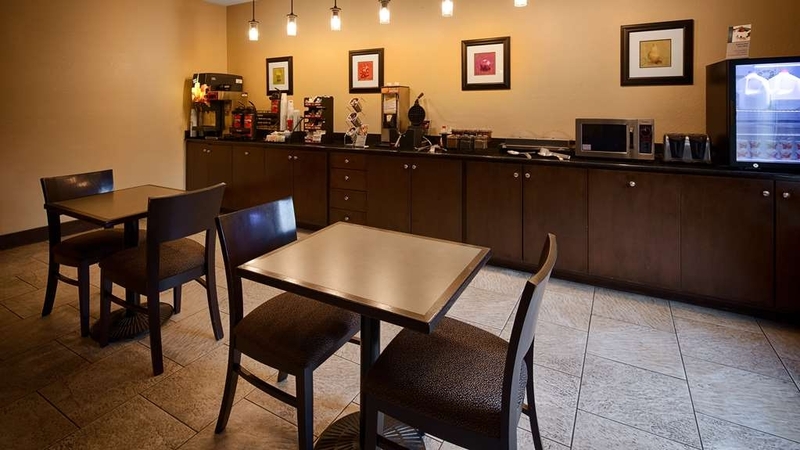 Clean, quiet, with free internet in-room, great breakfast, all at an amazingly low price. I wouldn't stay anywhere else. My stay was for two nights while visiting family. Oakdale is located in the center of Louisiana. It is your typical small town America. 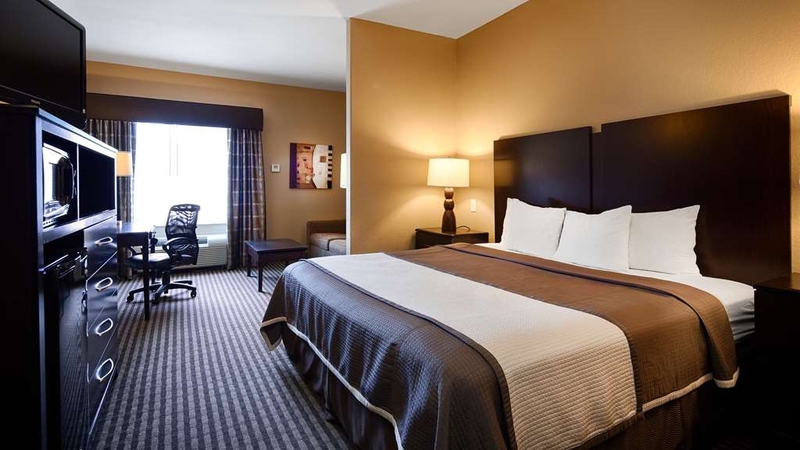 With premium TV channels and free WiFi, This facility offers spacious rooms and extremely comfortable beds. The complementary breakfast was outstanding. 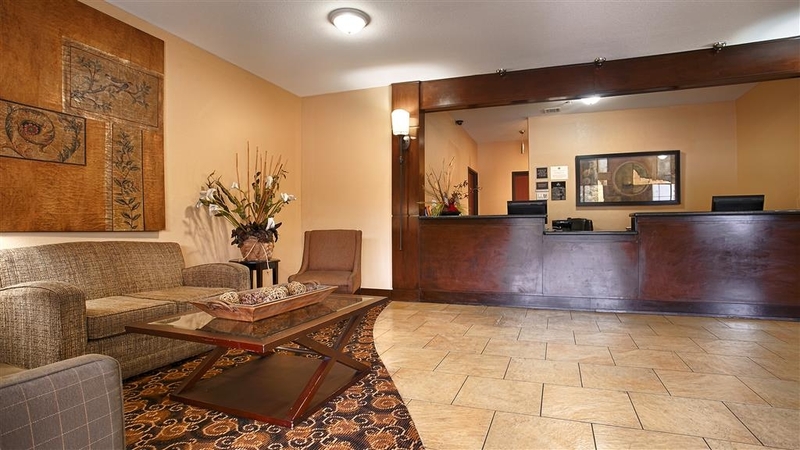 There are not many choices for Hospitality in Oakdale, I would definitely recommend Best Western. "The best place in Oakdale, LA." Everything is clean and well supplied. The staff is ready and willing to help with the pool, extra linens, and anything you need. The breakfast is very good with many choices. My parents said they'd like to eat there everyday. A huge full length mirror covers the closet.. The room was very comfortable and clean. The fridge, microwave, hair dryer, all nice to have. Extra rest rooms in the hall for emergencies and seemed very clean. The purpose of our visit to Oakdale was to visit our son. The hotel was in a good location for this visit. The only problem was this area around the hotel did not have good restaurants to eat at. We like to have good meals , not always fast food places. We did go to the grocer store and get sandwich stuff and etc. to put in the microwave , so that did help. The room was clean with exceptional decor. Unfortunately the walls are paper thin including the door. I am a deep sleeper but had an awful night...got no sleep. You could hear EVERYTHING.....including ALL DOOR CLOSURES on the floor. The train near by did not help!!! I really wanted to like the hotel but it was just too noisy. 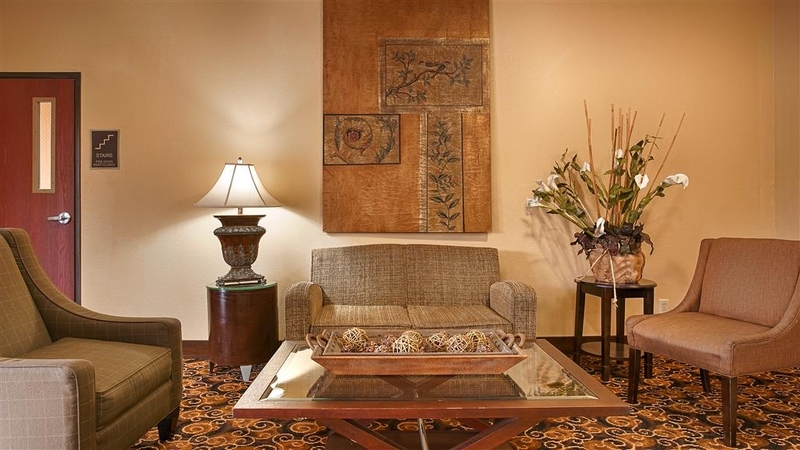 The Best Western in Kinder, all though older, is a better option. VERY QUIET. Would not stay here again!!! the stay was really nice. It is always clean, has the friendliest employees, but the price was high this last trip. Even though it is summer, the price almost was double the price in April. I like the atmosphere there, so we will go back. It is convenient for our purposes, but the area food leaves a lot to be desired. Even the statewide known businesses were not good. Maybe they should consider putting in a restaurant.